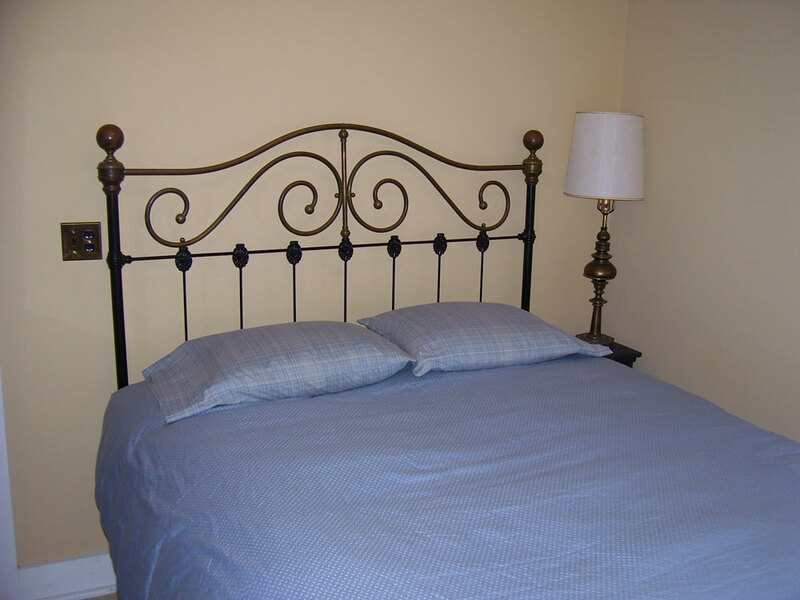 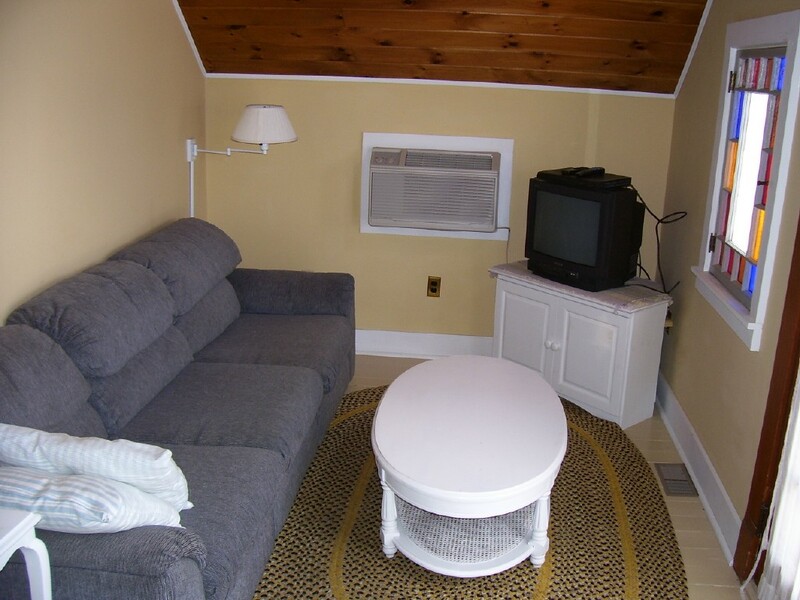 Excellent guest accommodations and vacation rentals are available overlooking the marina. 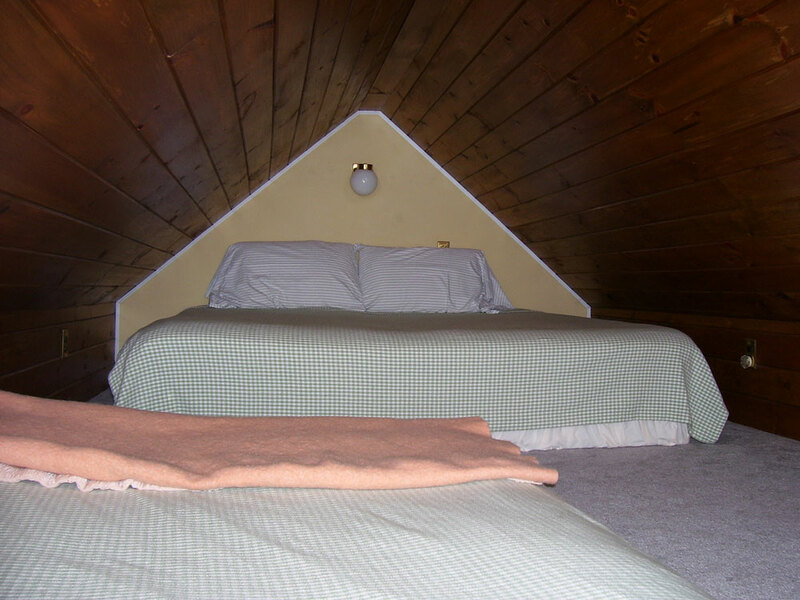 Visa and MasterCard accepted. 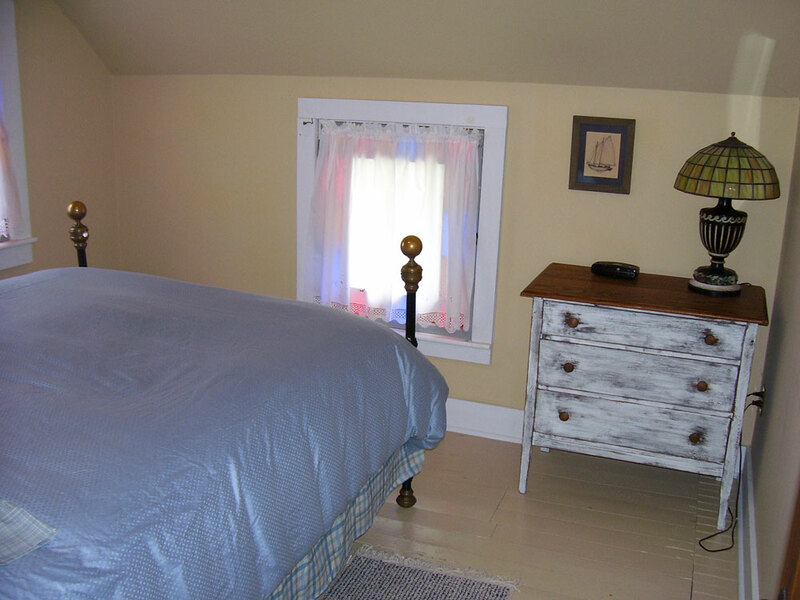 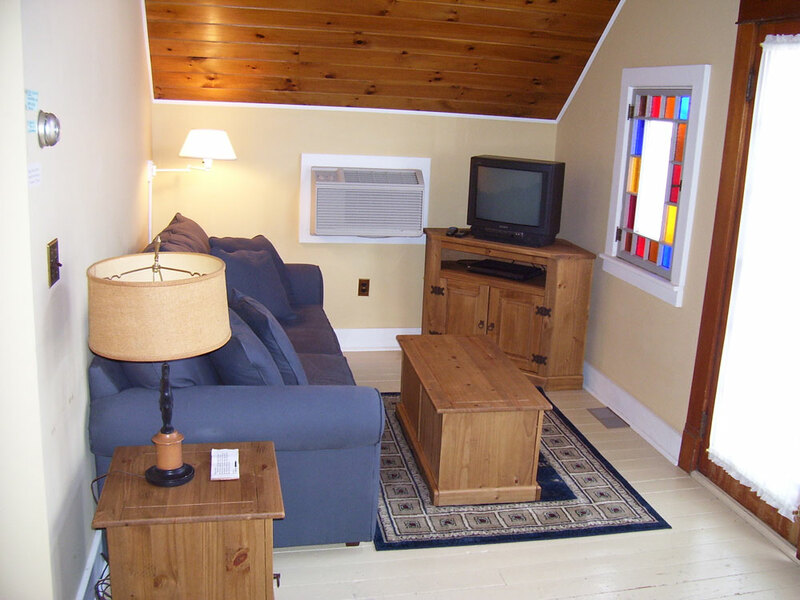 The Morse Cottage is a charming lakeside house with stained glass windows overlooking the Essex Marina. 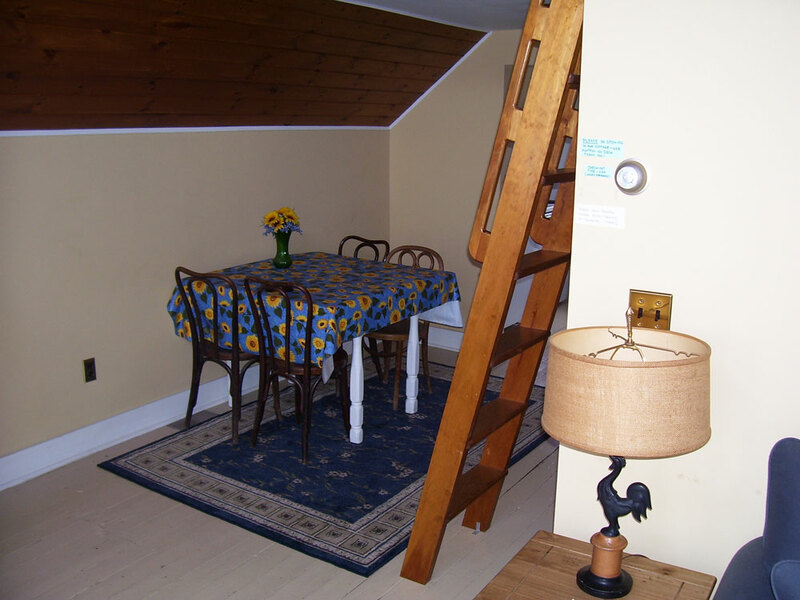 The second floor is a furnished and air-conditioned one bedroom apartment with a loft that can accommodate 2 to 4 people. 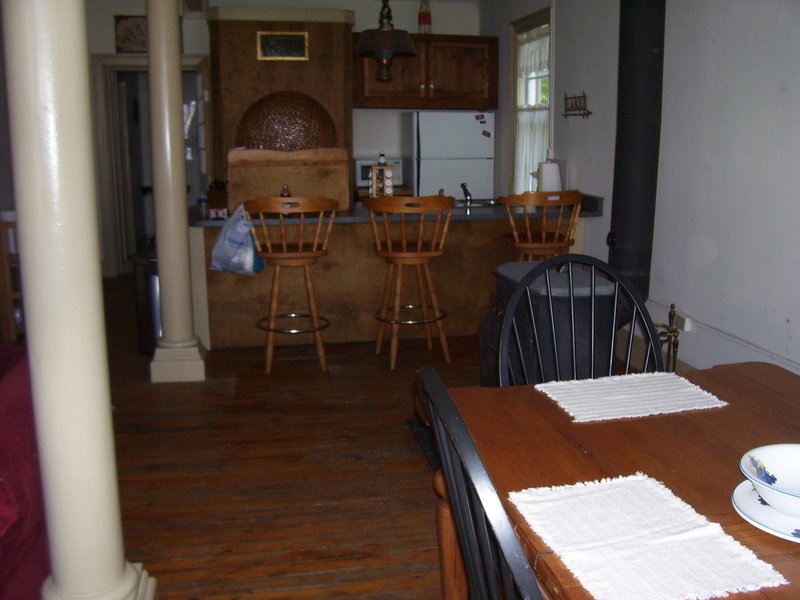 It has a living/dining room, kitchen and bathroom with a shower. 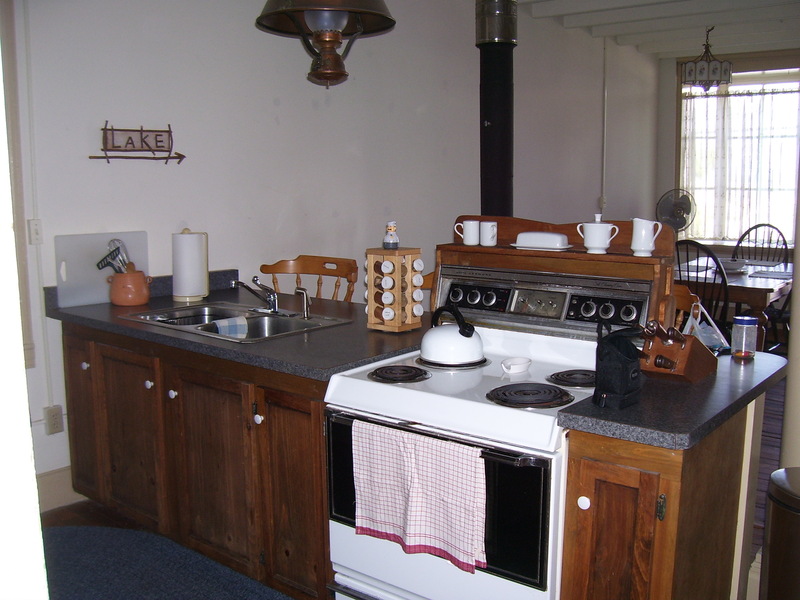 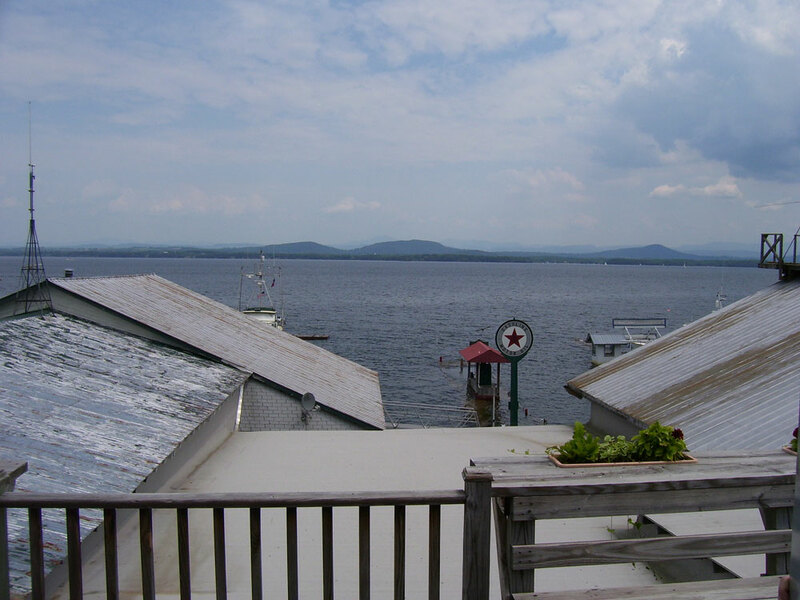 There is also a lakeside deck with beautiful views of the lake and the ferry crossing. 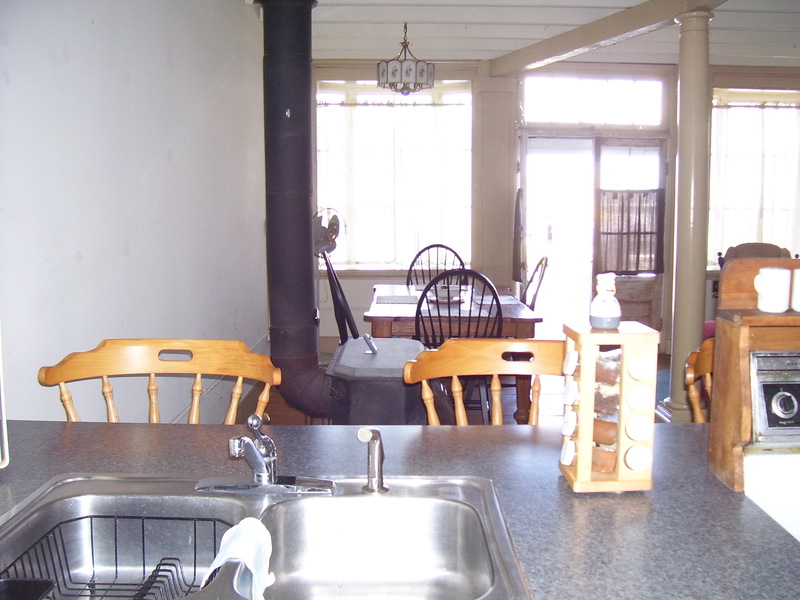 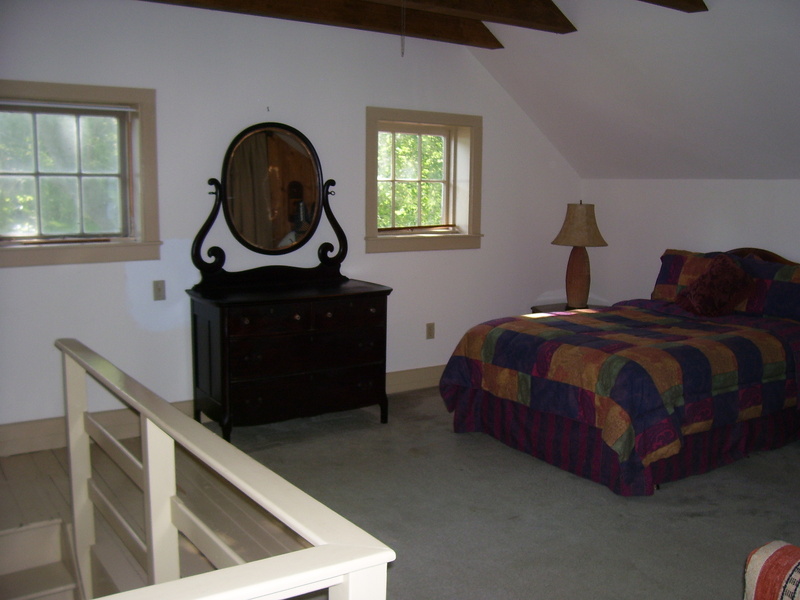 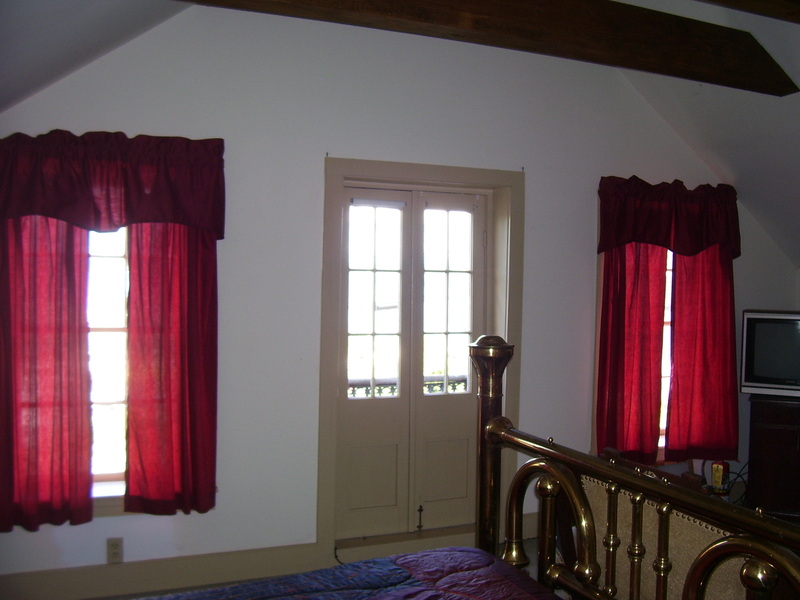 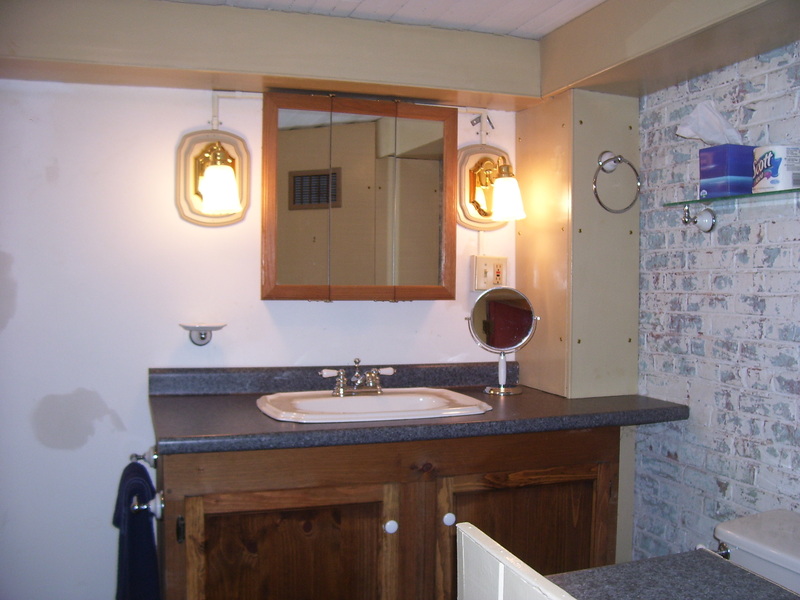 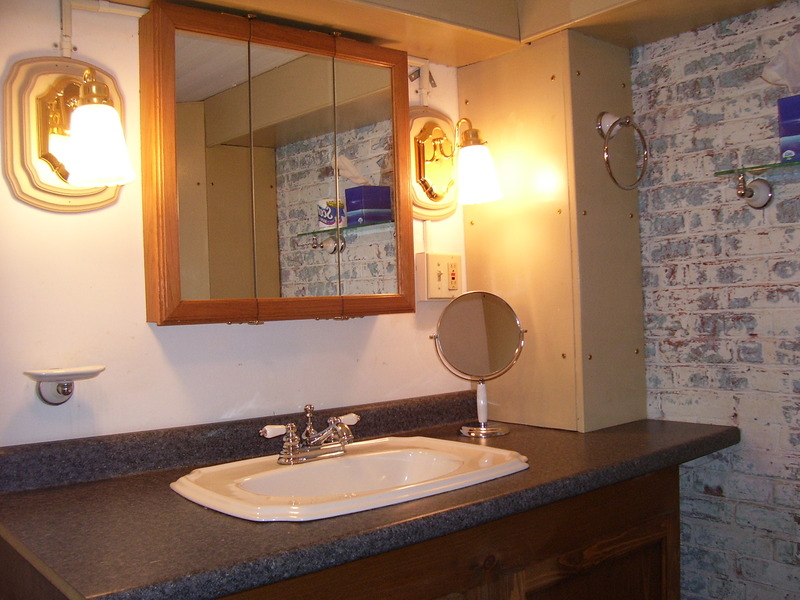 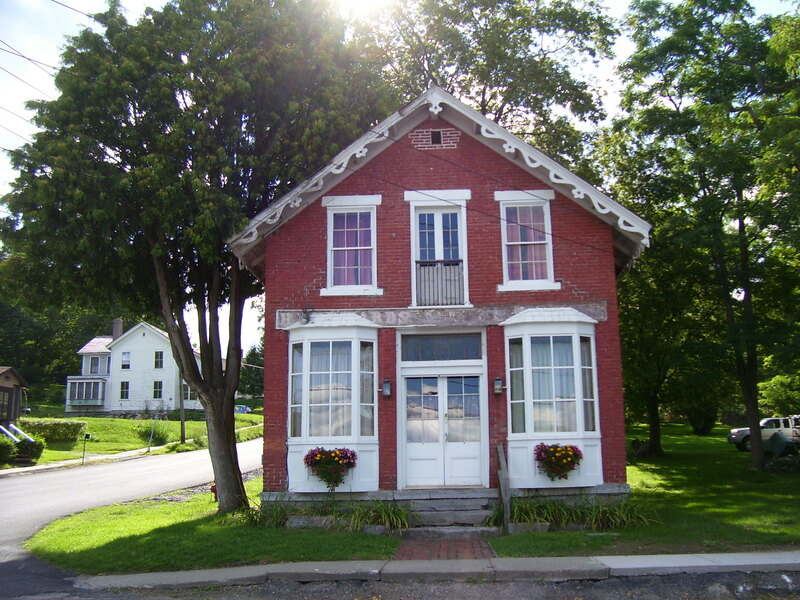 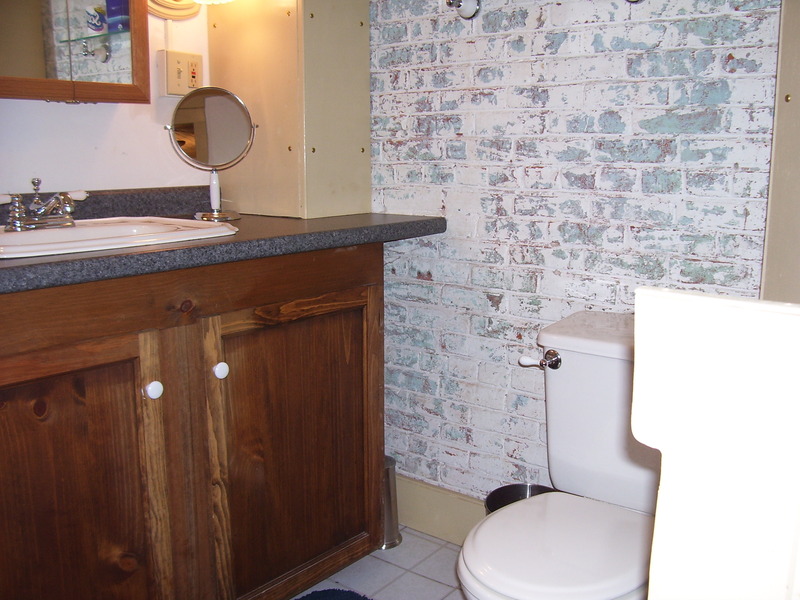 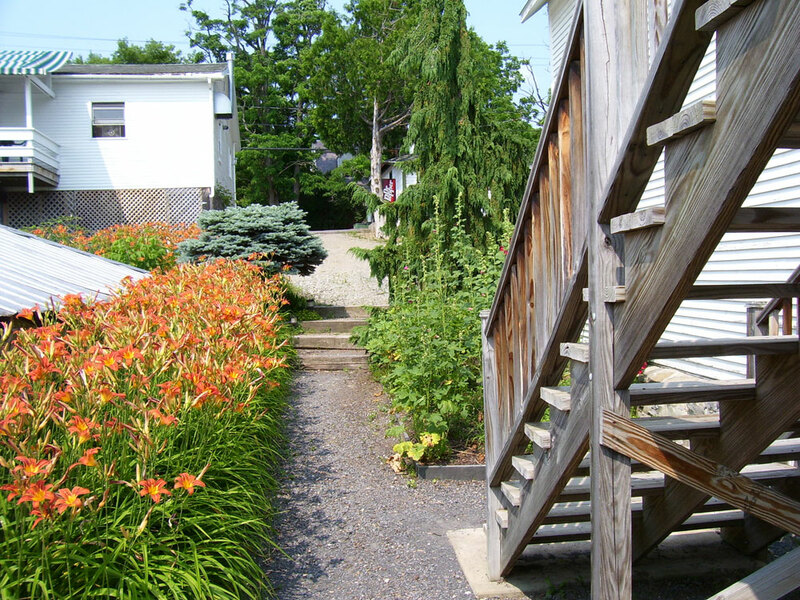 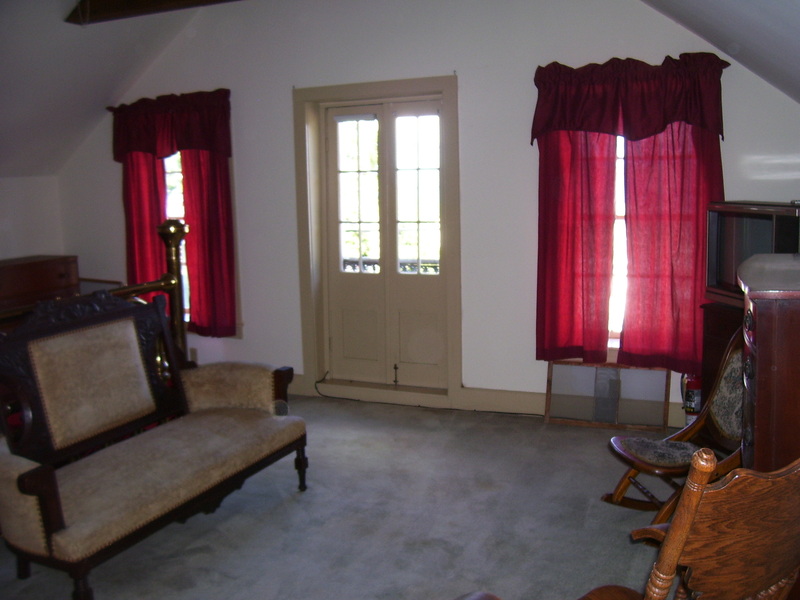 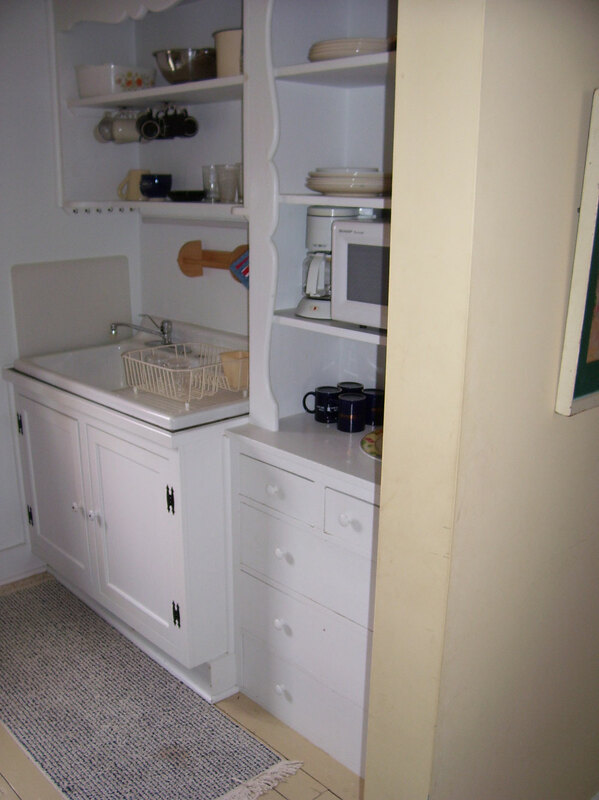 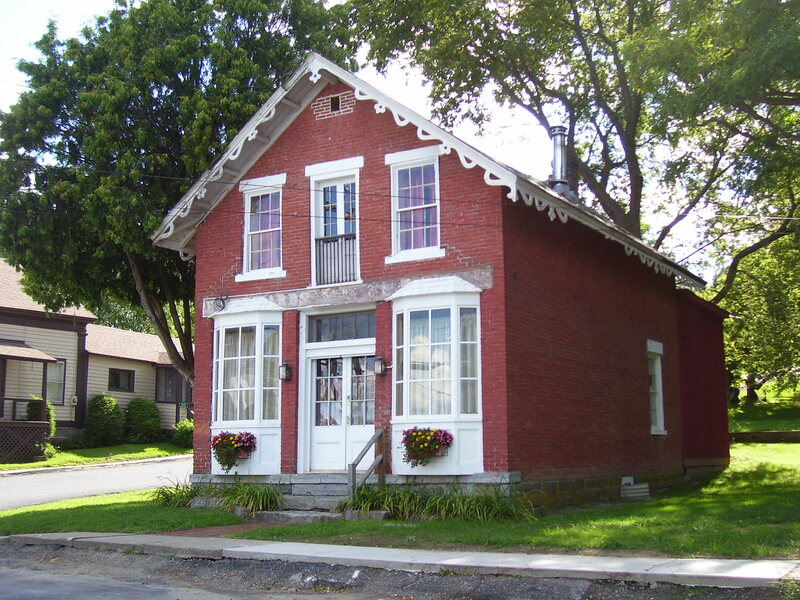 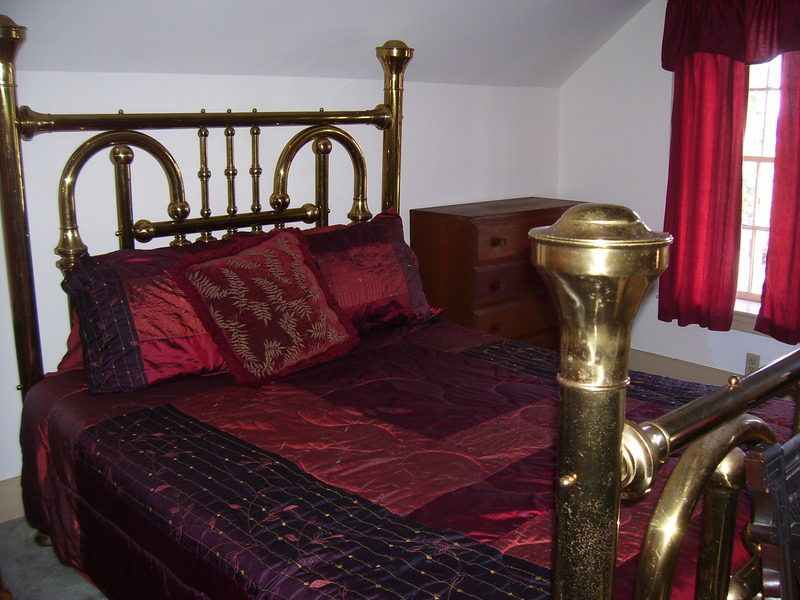 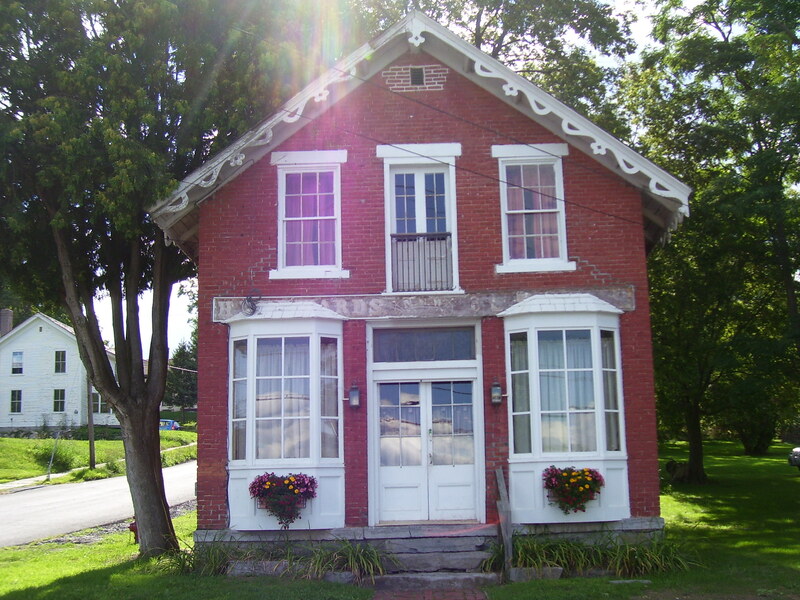 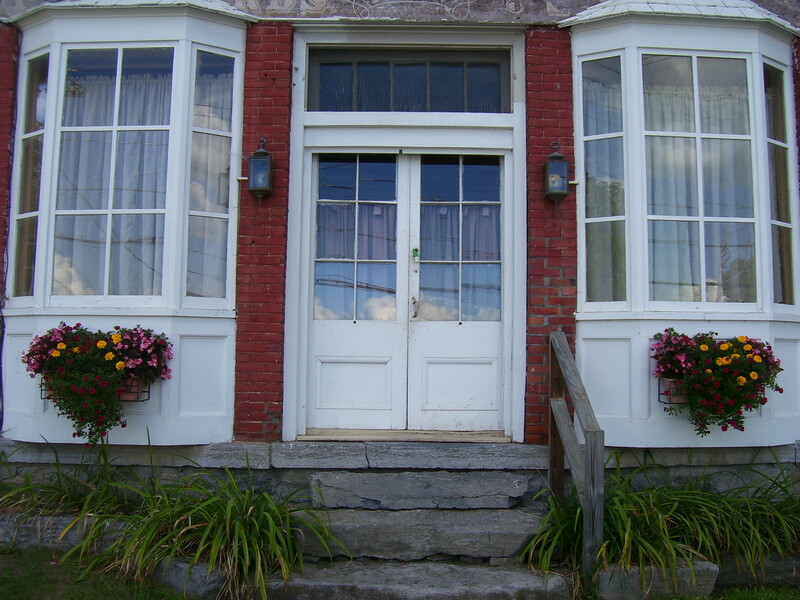 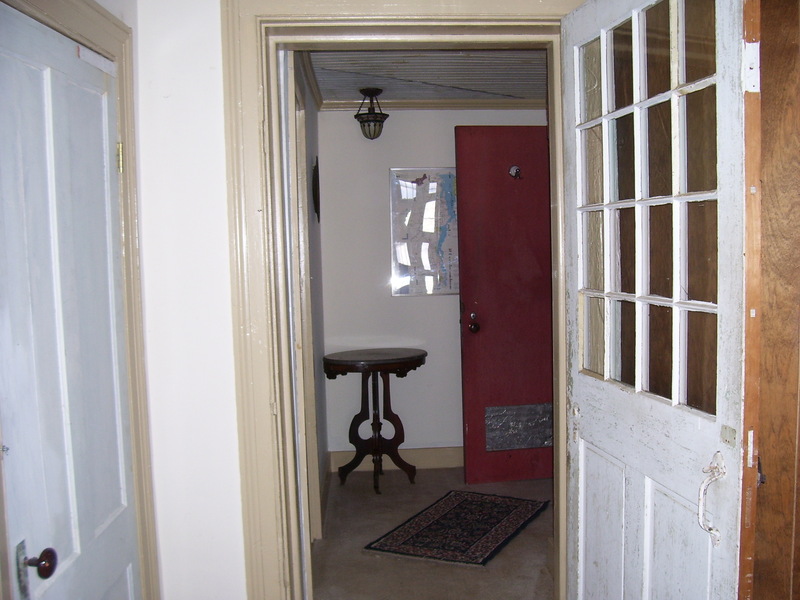 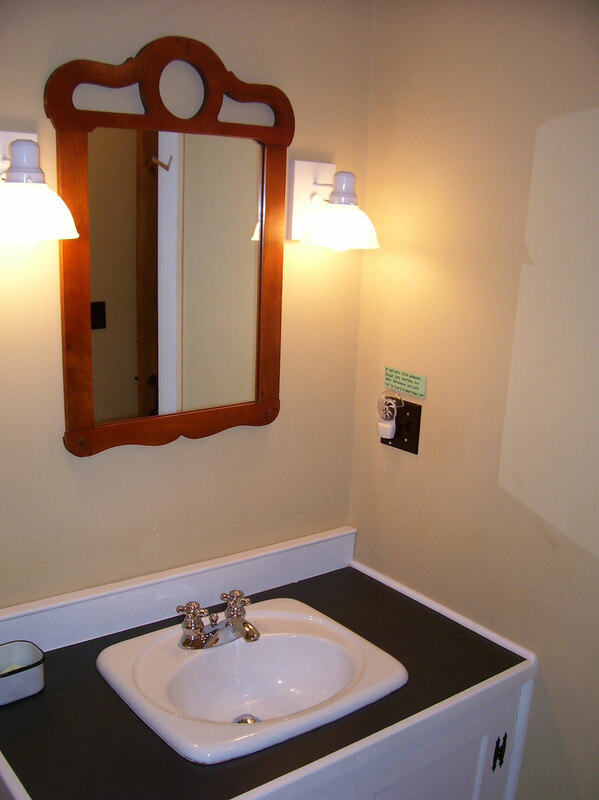 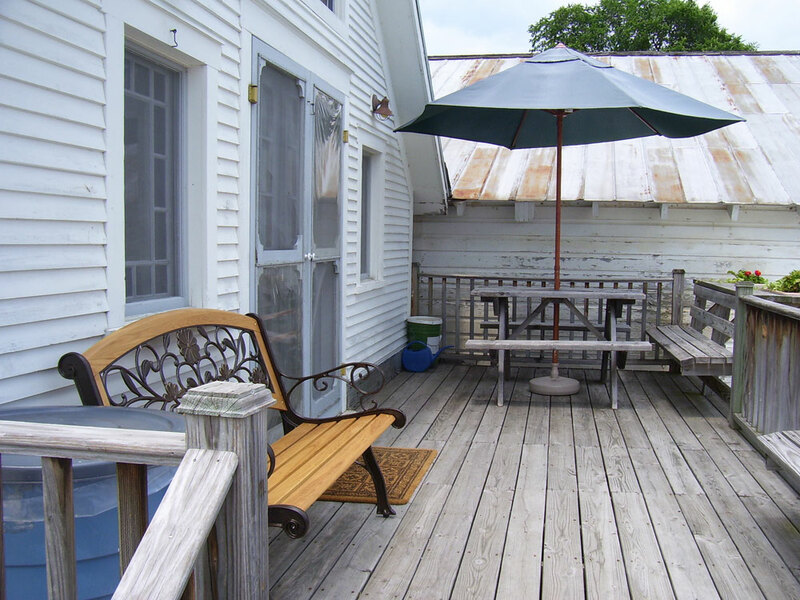 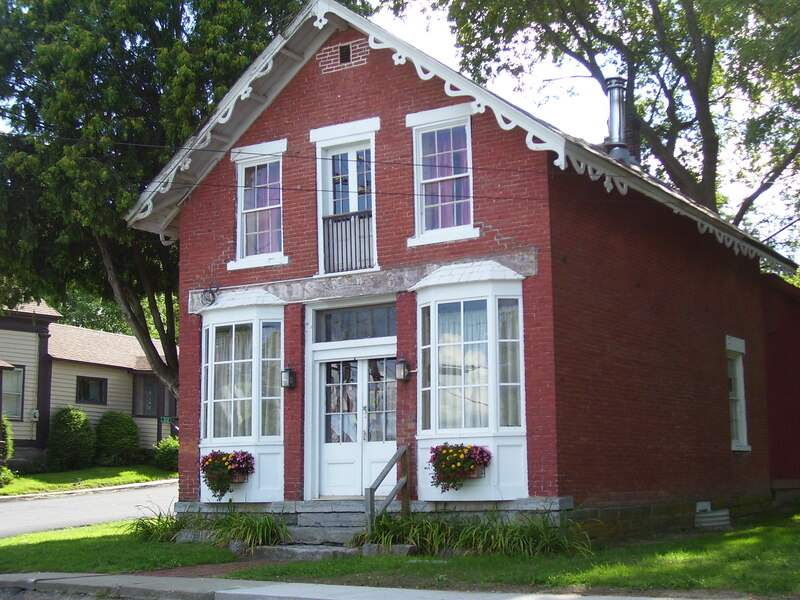 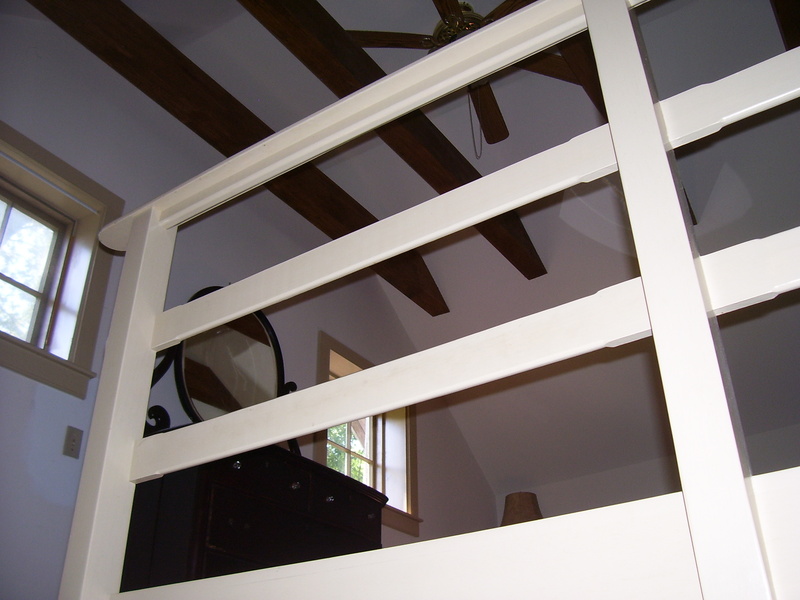 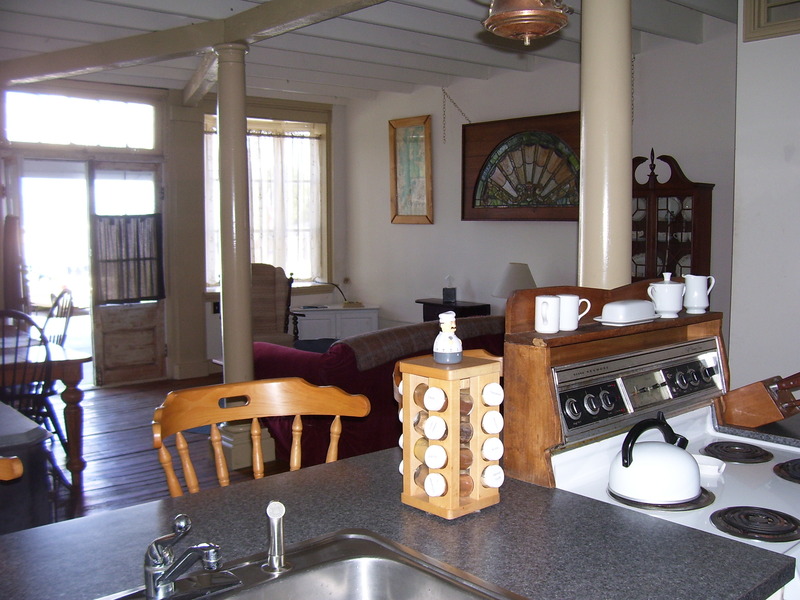 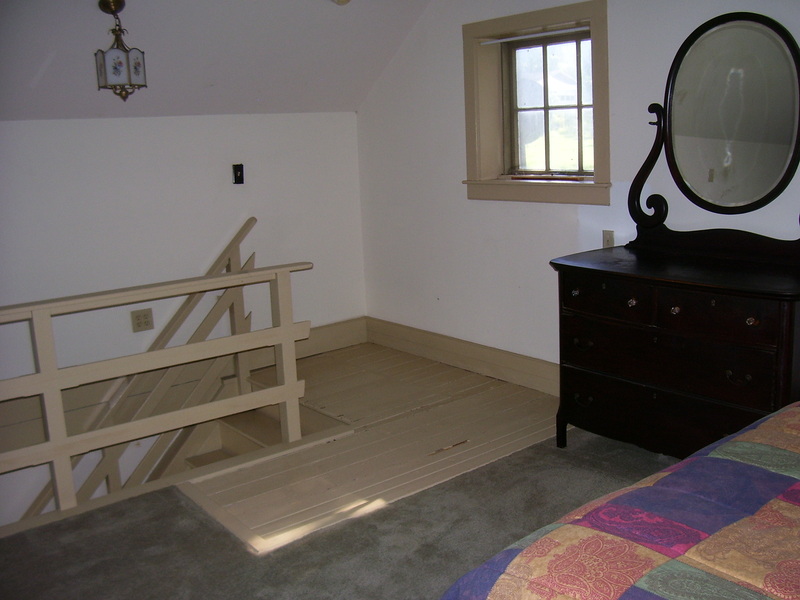 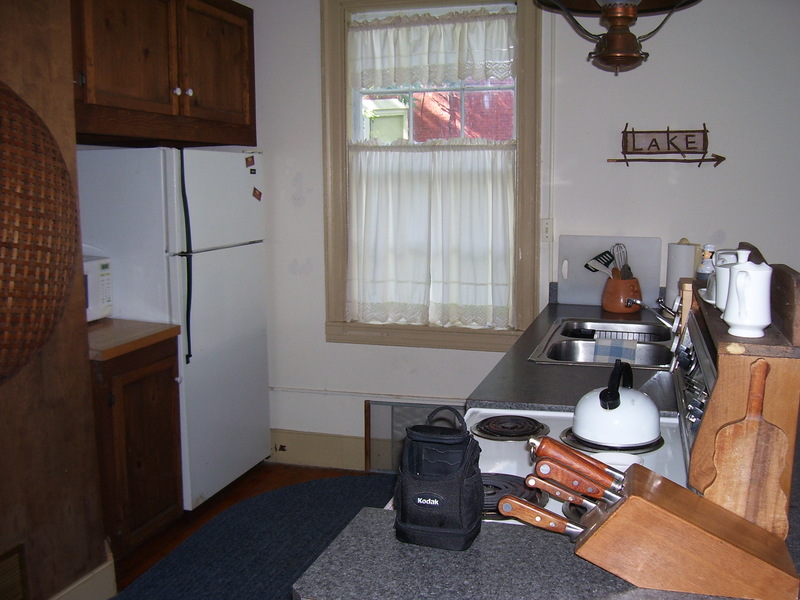 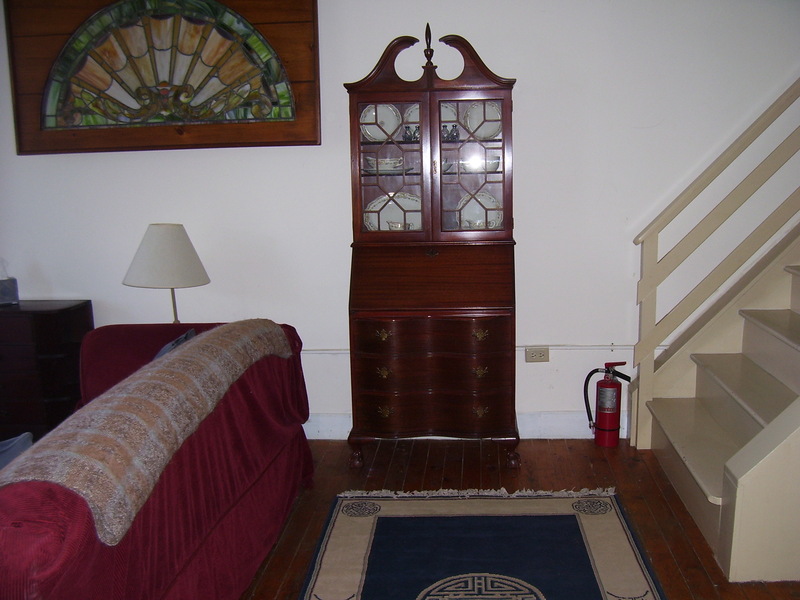 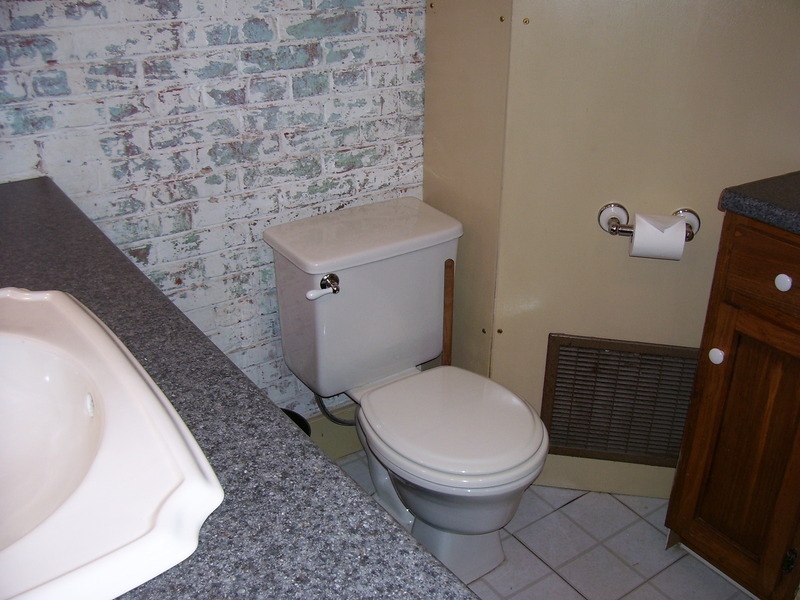 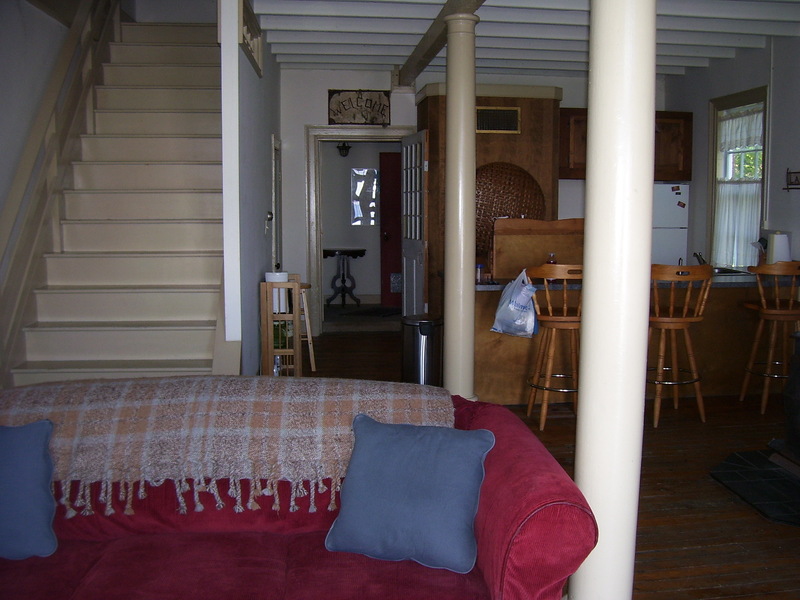 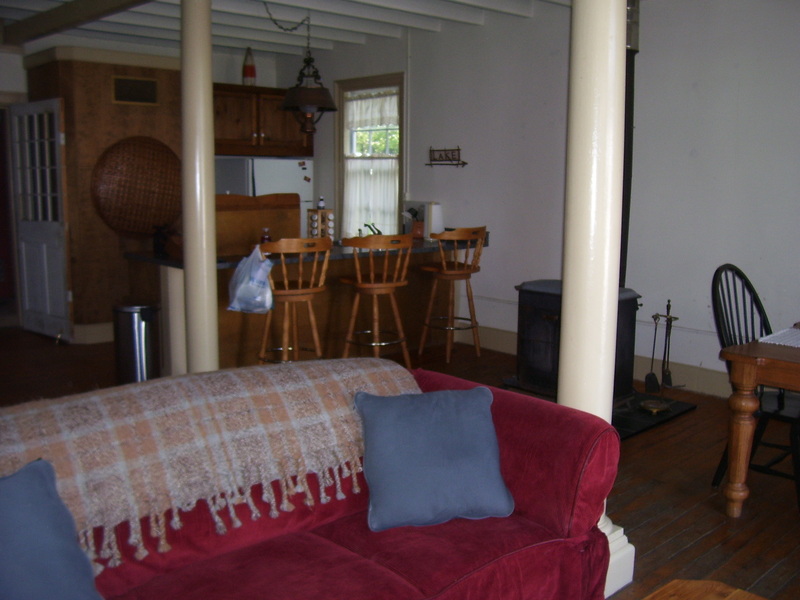 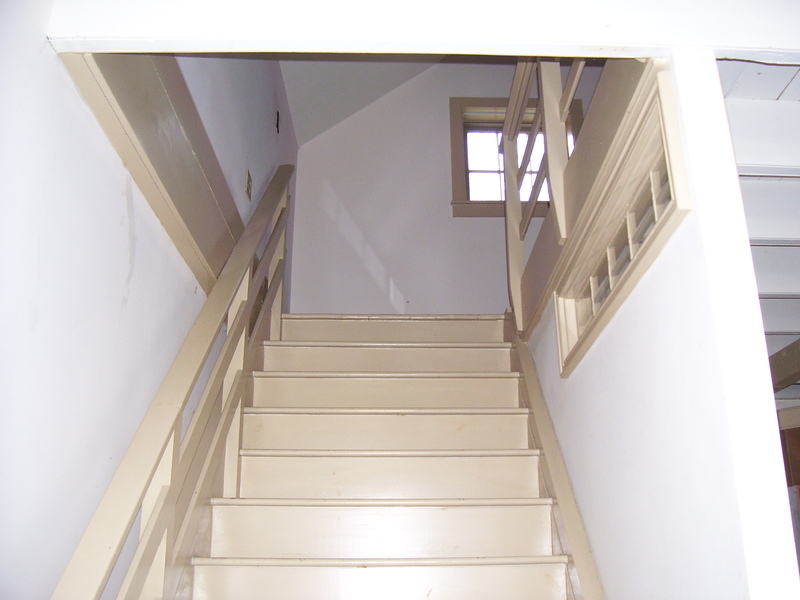 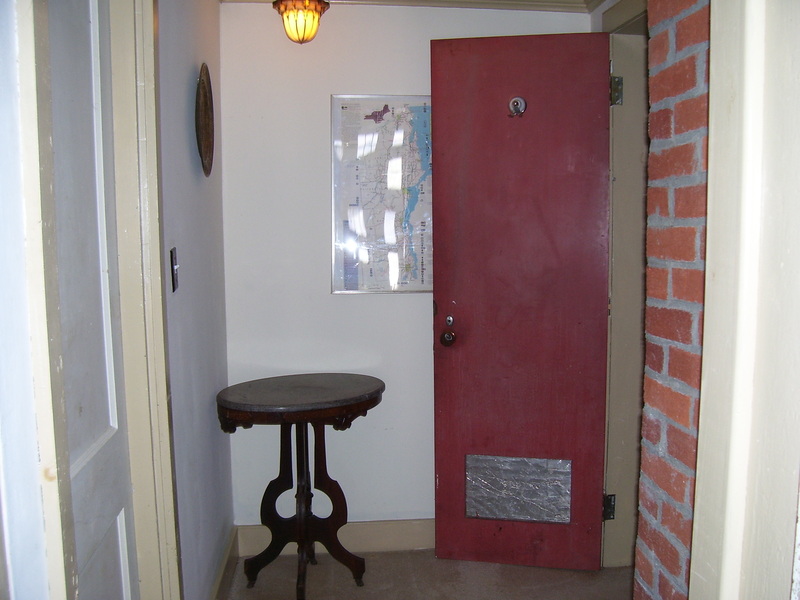 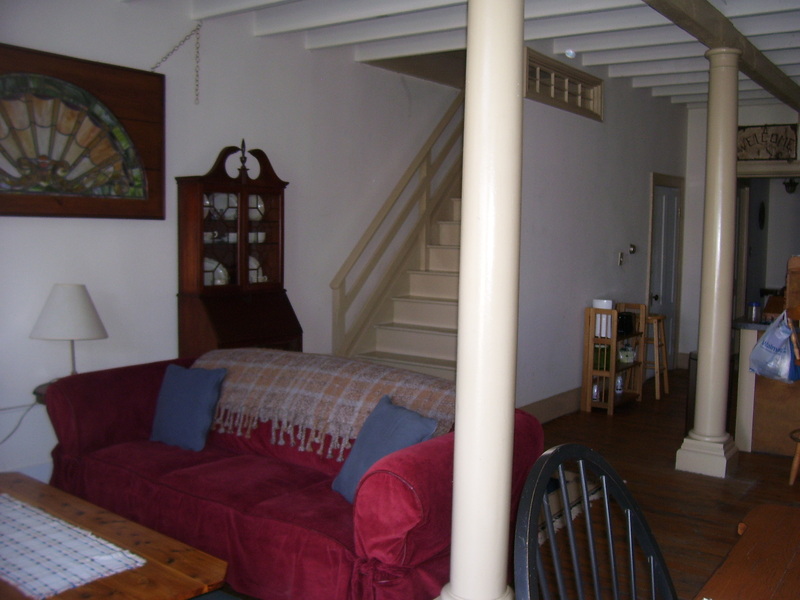 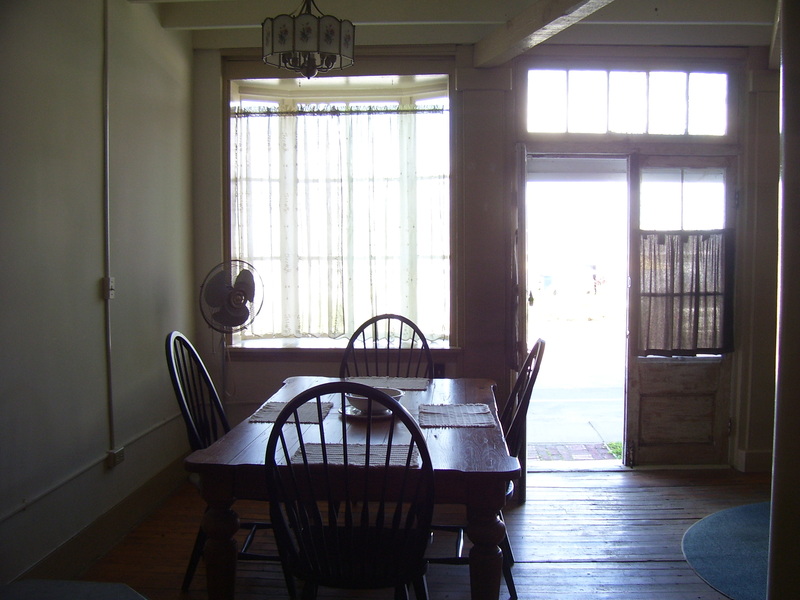 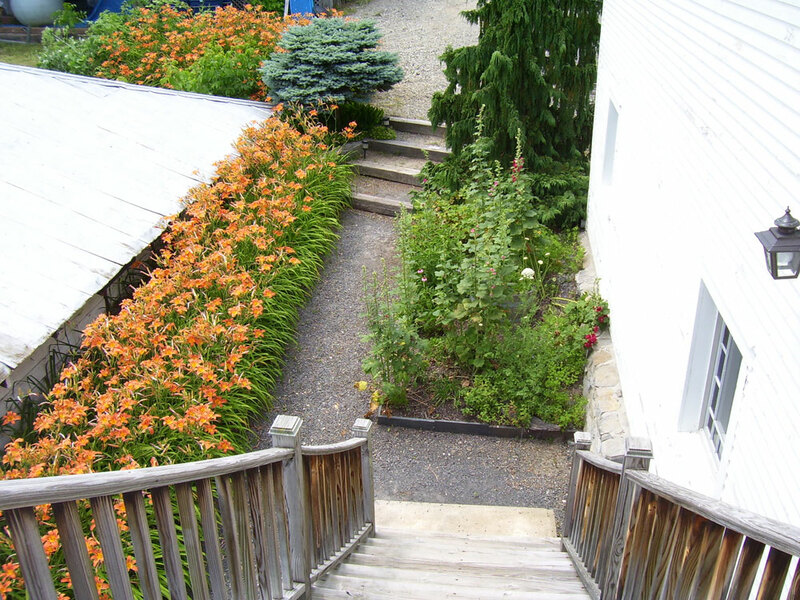 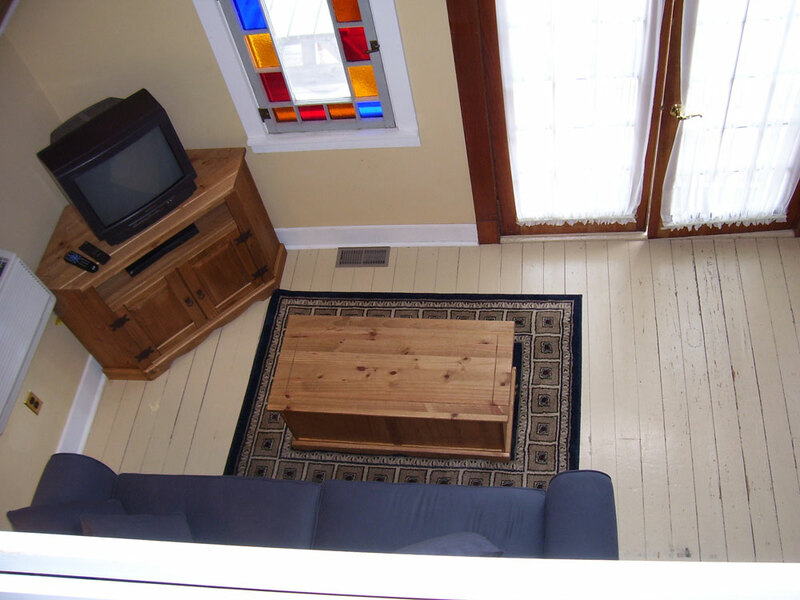 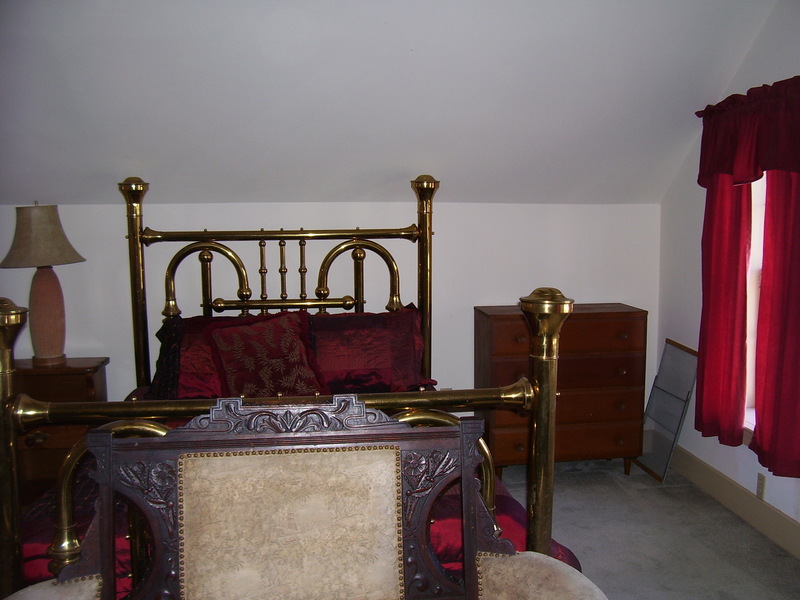 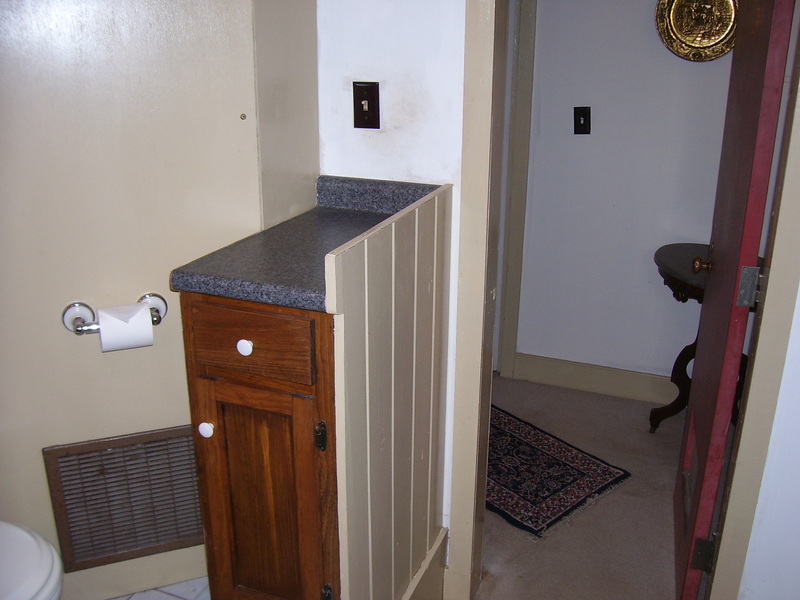 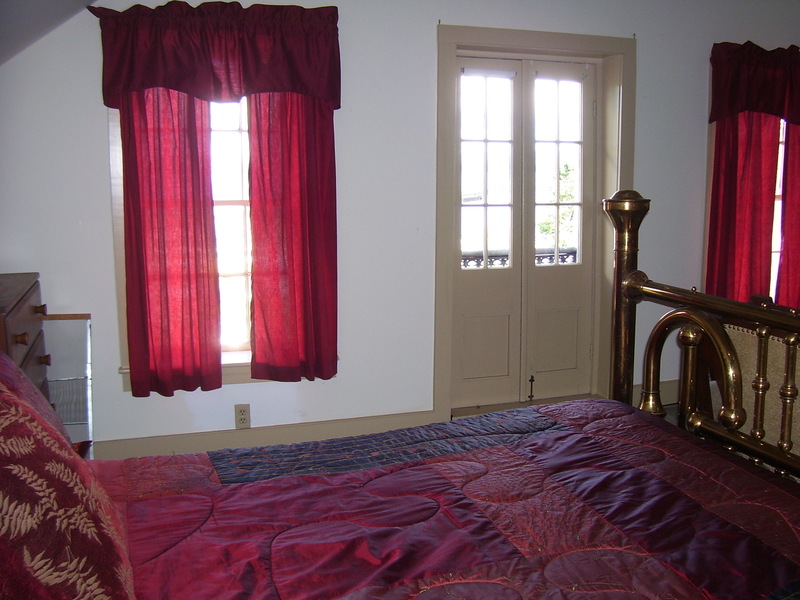 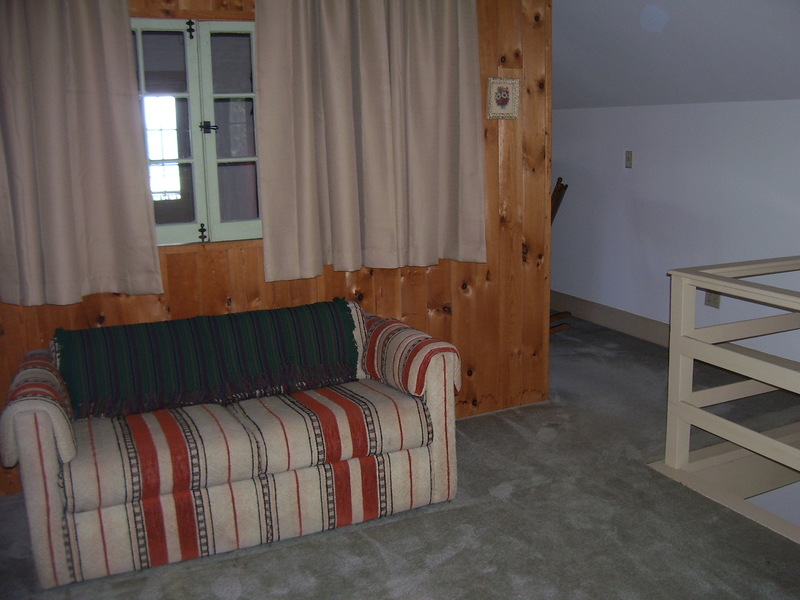 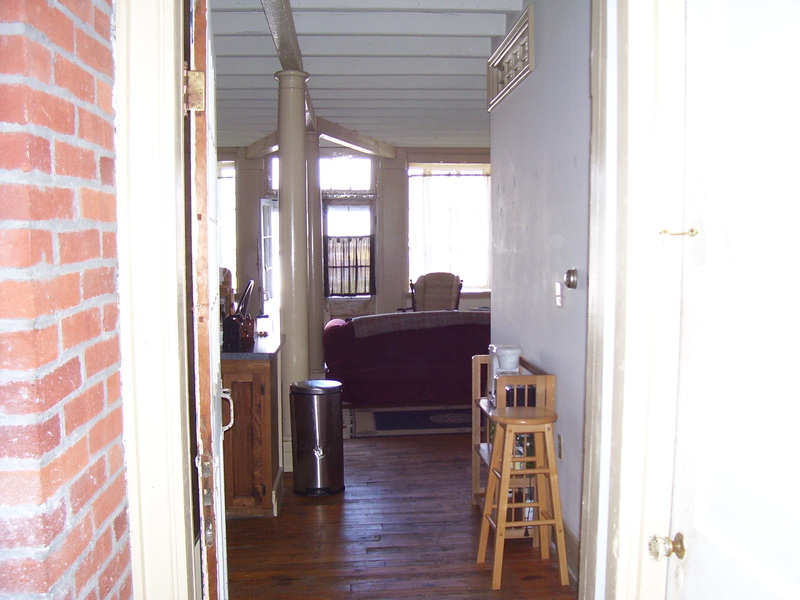 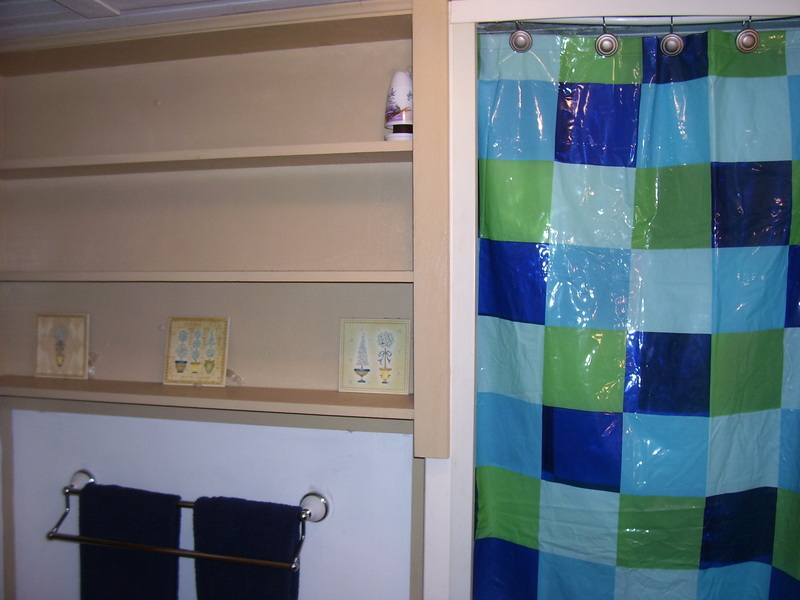 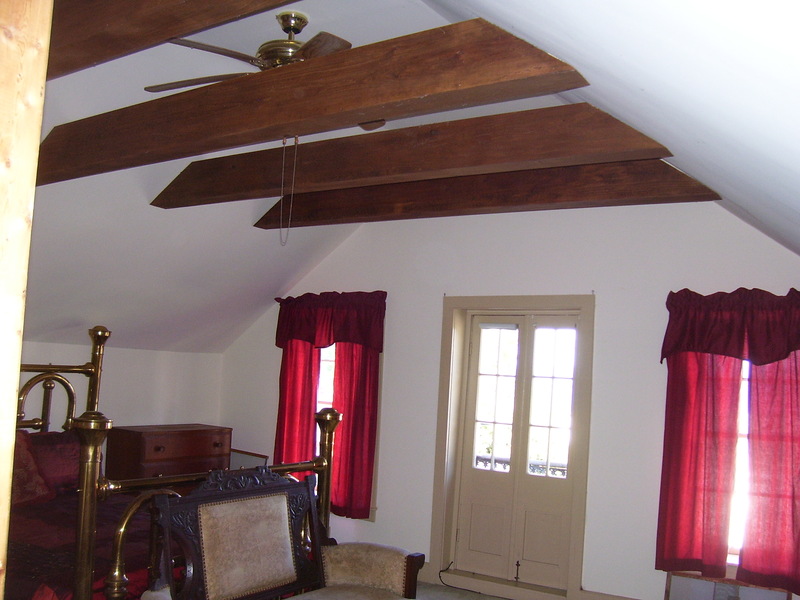 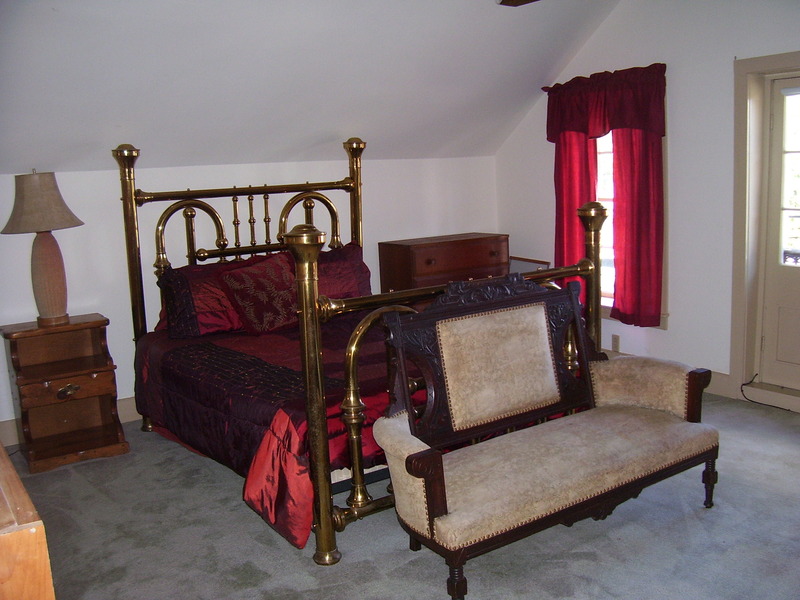 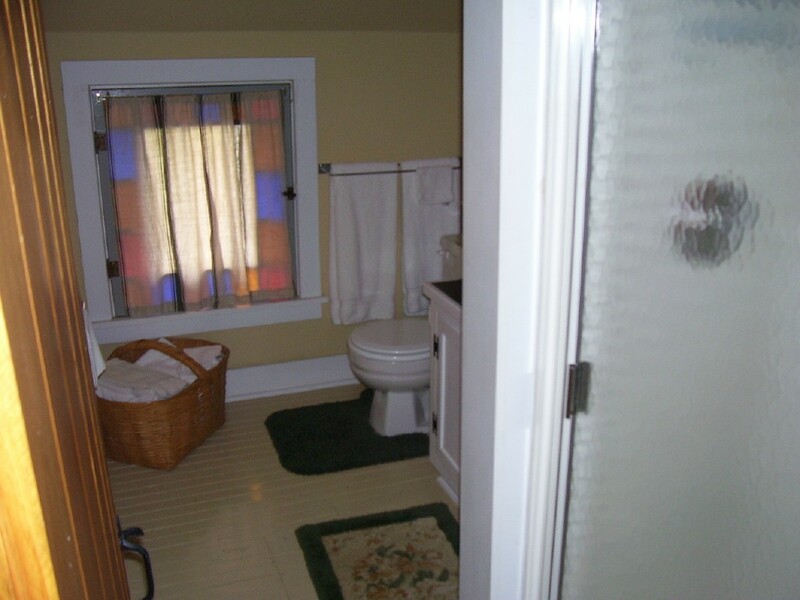 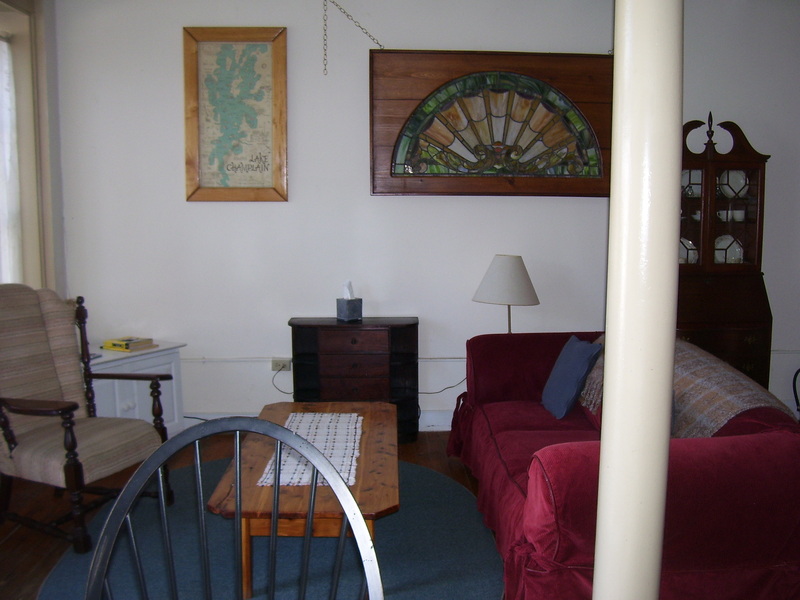 The first floor is a furnished efficiency apartment that has a private bathroom with a shower. 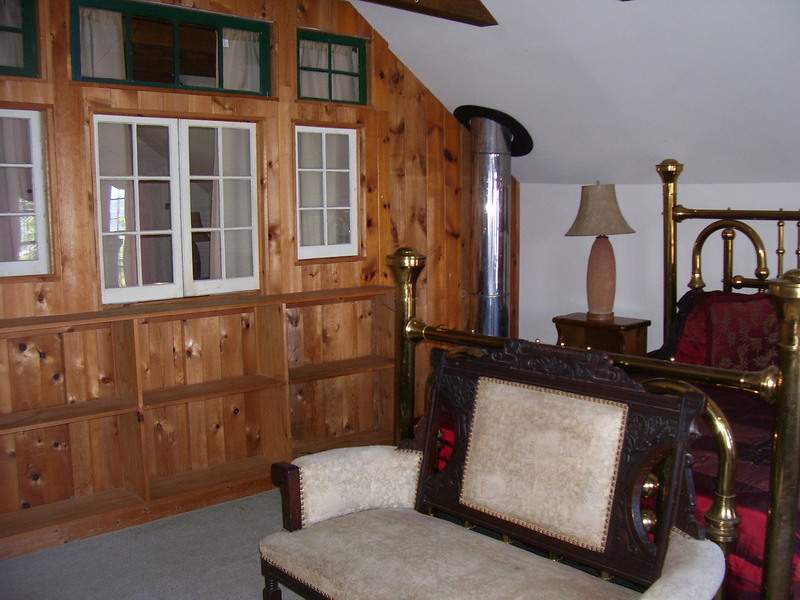 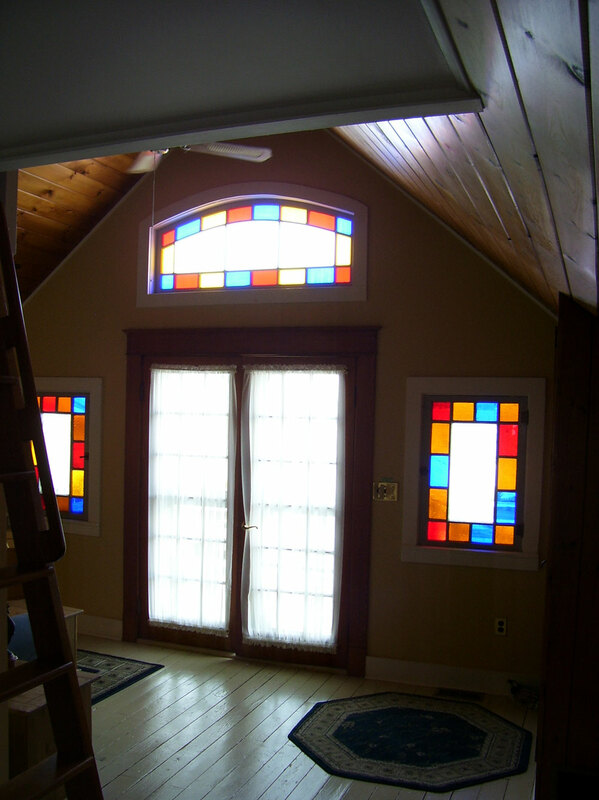 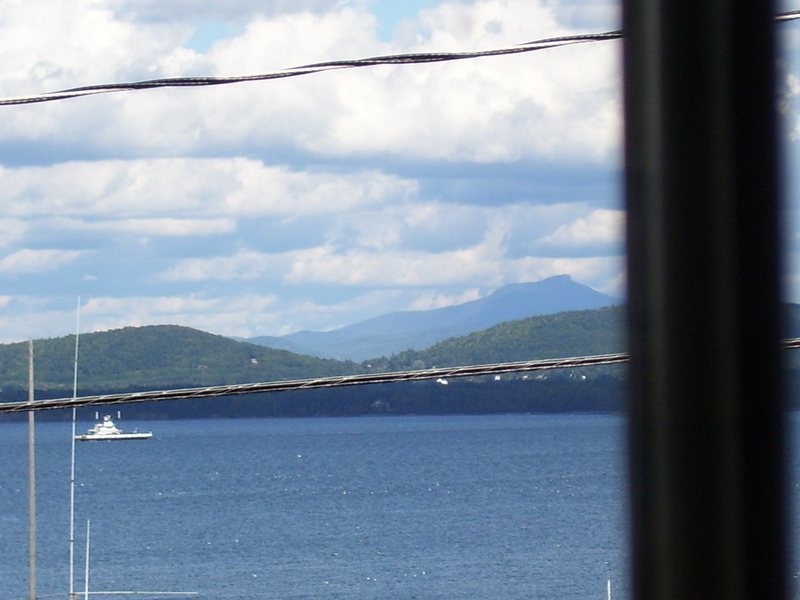 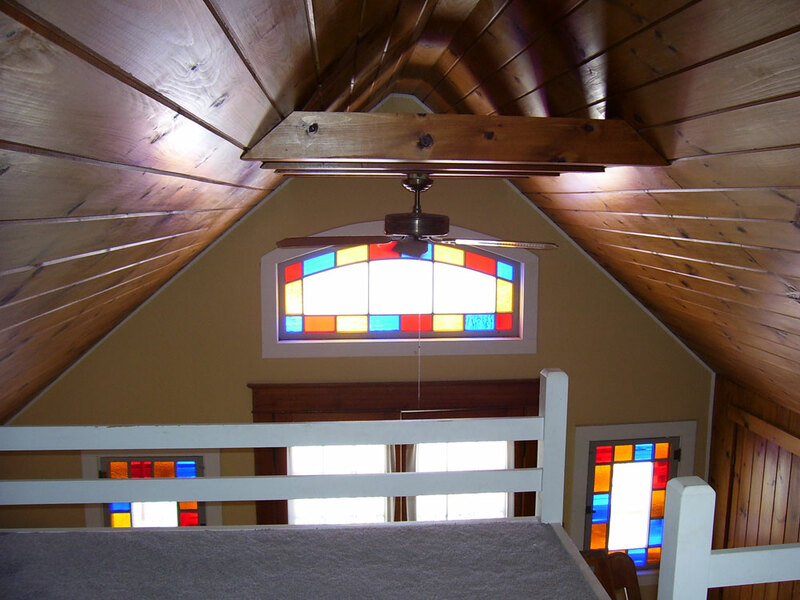 There are beautiful views of the lake through the stained glass windows facing the mountains of Vermont to the east. 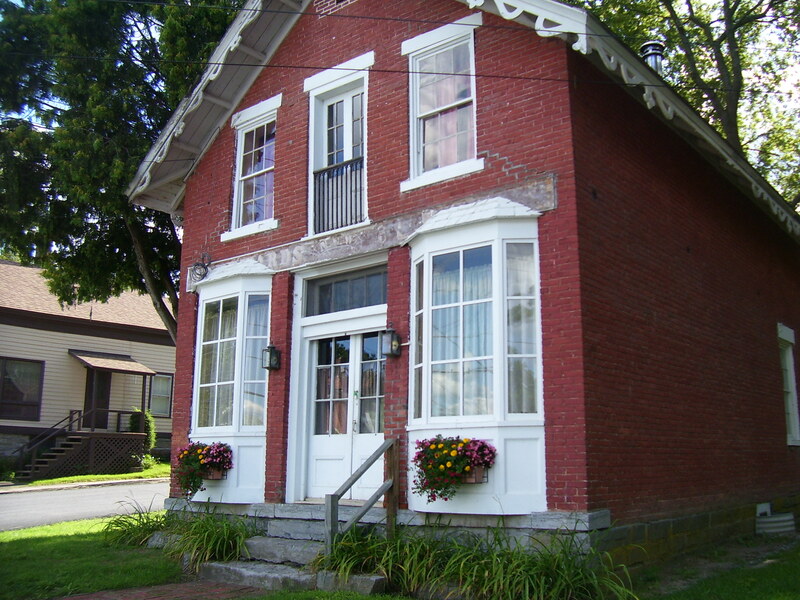 The building was originally a “haberdashery” (men’s clothing store), then the village liquor store and finally several short lived retail shops. 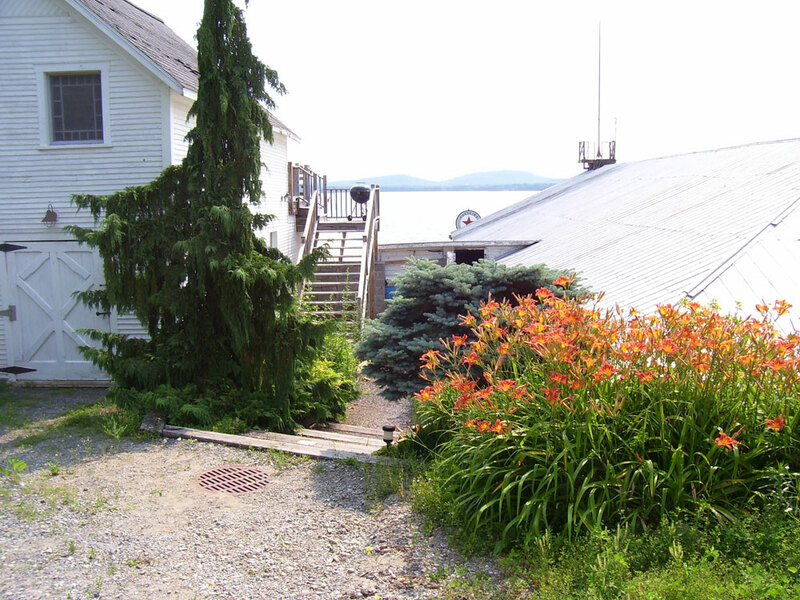 Most recently it served as a residence for marina employees and is now furnished with antiques and rented on a seasonal basis. 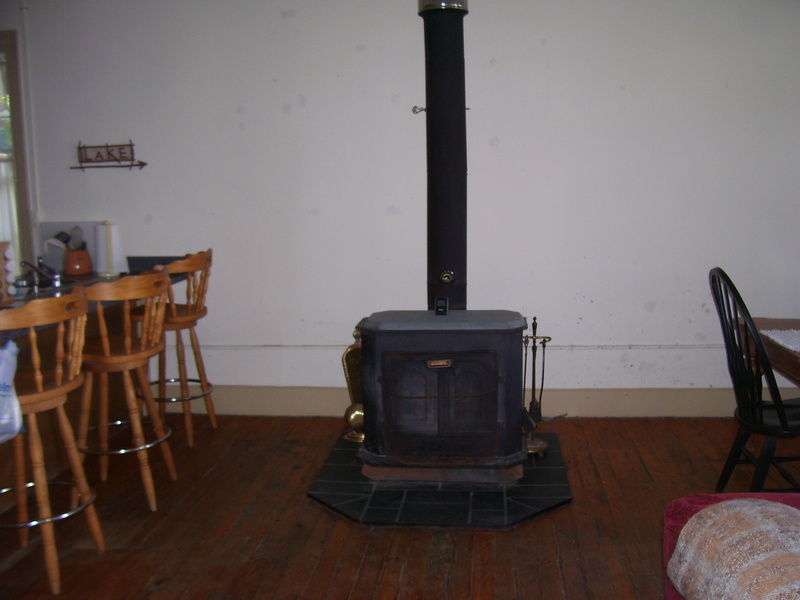 The first floor (a great party/gathering space), is a combination living room with a wood stove, dining room and kitchen with a breakfast island. 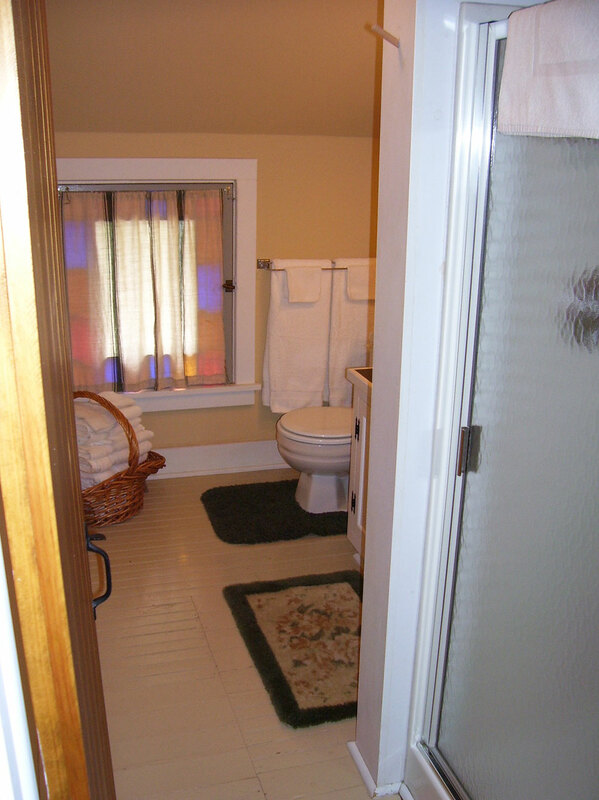 The bathroom with a shower, is also located on the first floor. 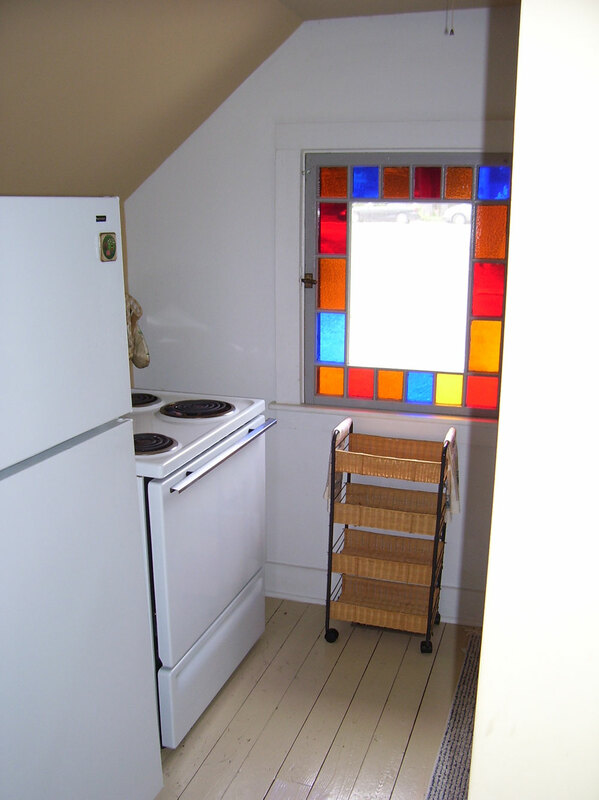 There is a large storage area with outside access for bicycles, etc. 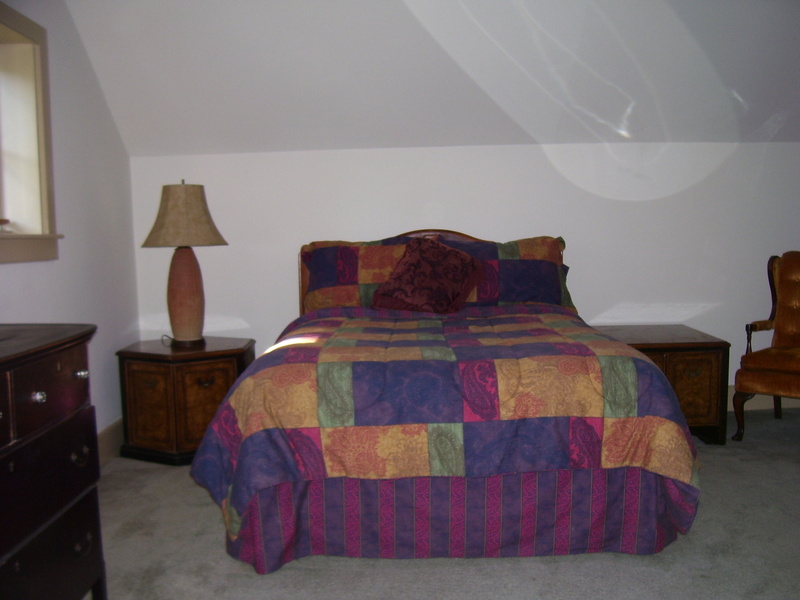 The air-conditioned second floor is a large room with a divider wall that seperates the space into a large bedroom with a queen sized bed and another area that can be used as a sitting room or additional bedroom with a full sized bed and fold out couch. 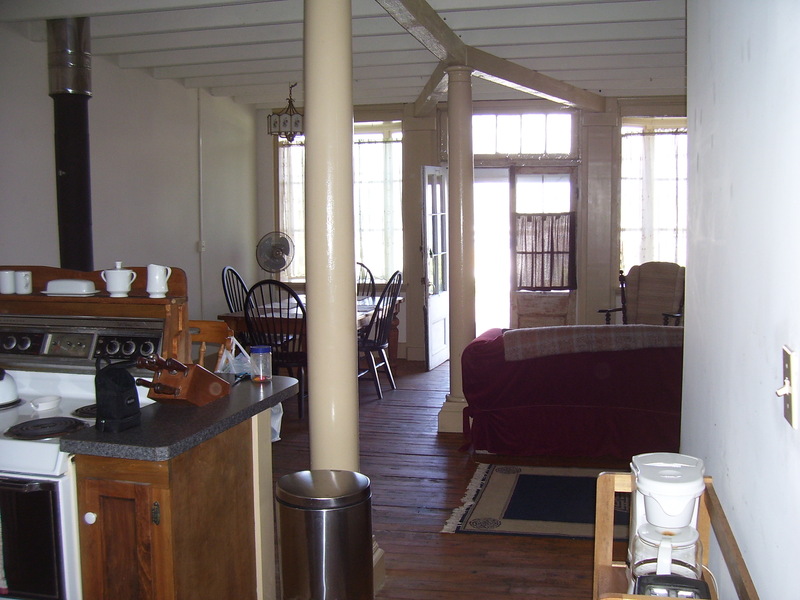 The house can sleep up to six guests. 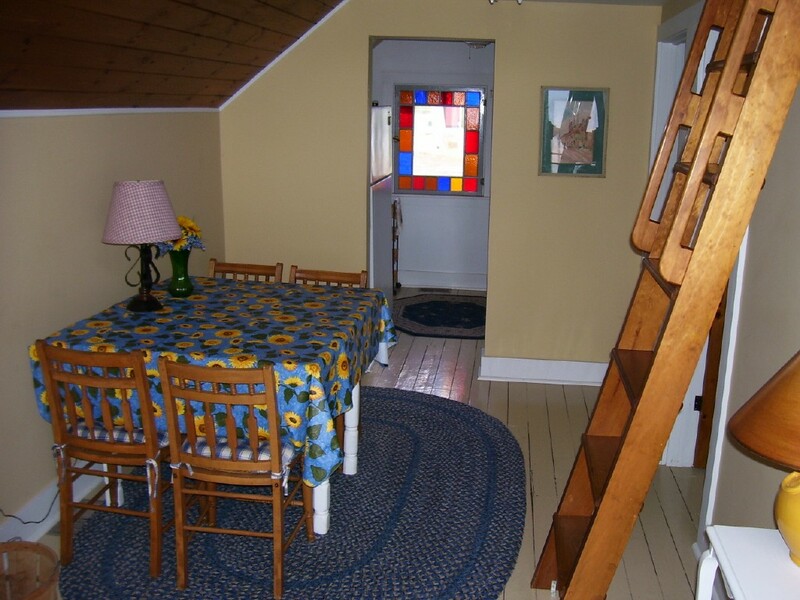 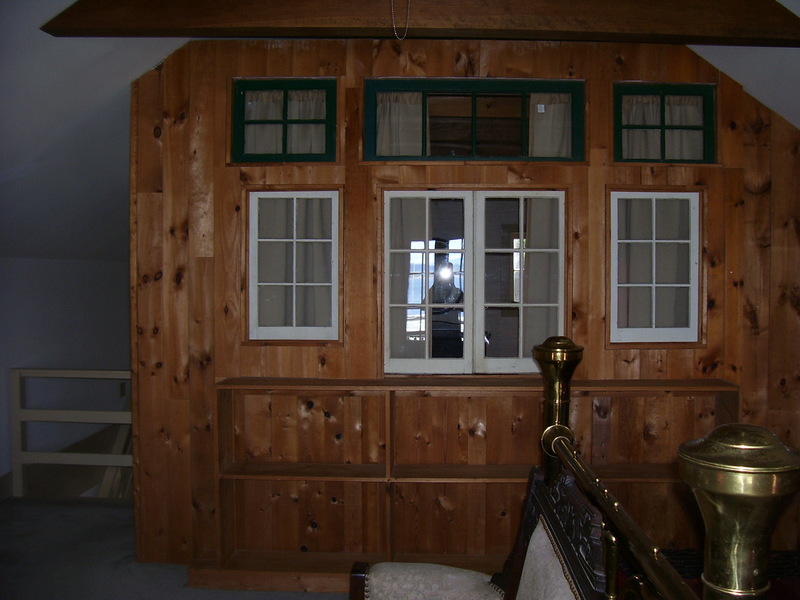 There is a view of the lake and the ferry crossing through the french doors of the front bedroom.